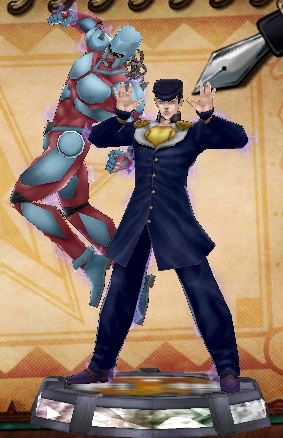 Throw a strong punch with your stand. I can only shoot from this position! A long range attack where you shoot a bullet. Enemies hit by the last shot will be sent flying. I'm gonna make my way through and beat you down! Do a punching rush while moving forward. This page was last edited on 10 July 2018, at 05:34.